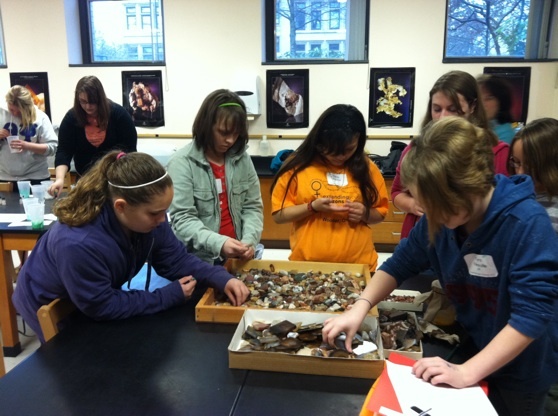 WOOSTER, OH – I can’t think of a more exciting thing to do on a Saturday morning than play with minerals and X-rays! 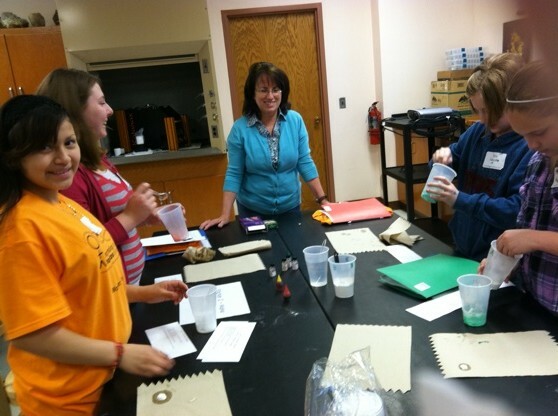 Wooster’s Geology Department and the Expanding Your Horizons Program girls explored how minerals are used on a daily basis. First, we tested the physical properties of minerals and made educated guesses about which minerals are used in common household products, like cleaners and toothpaste. 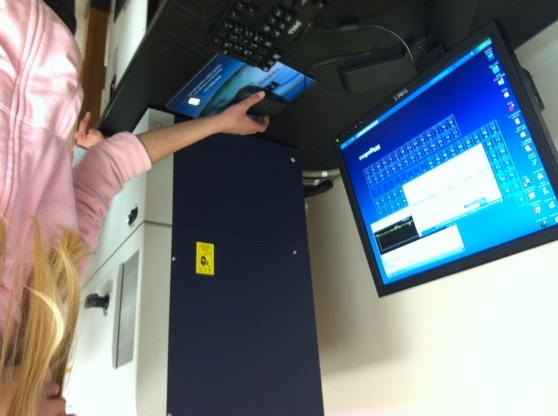 Then we analyzed the products on the new X-ray diffractometer (XRD) to see whether our guesses were correct. Finally, we made our own mineral toothpaste. I don’t think we’ll be going into the toothpaste business any time soon, but the lab now smells minty fresh! 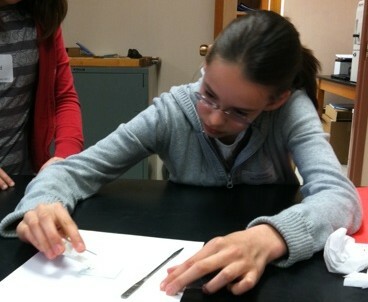 One of the EYH girls prepares a sample of powdered drywall for the XRD. 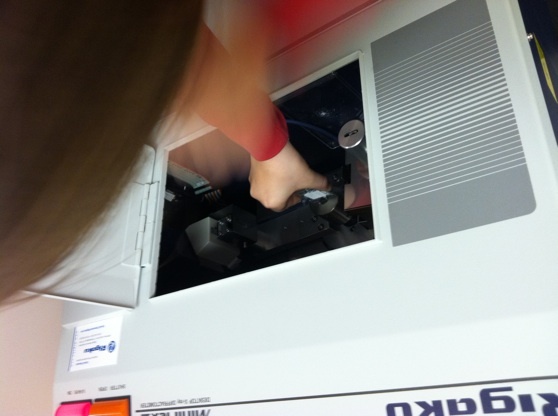 An EYH student places a prepared sample in the XRD. 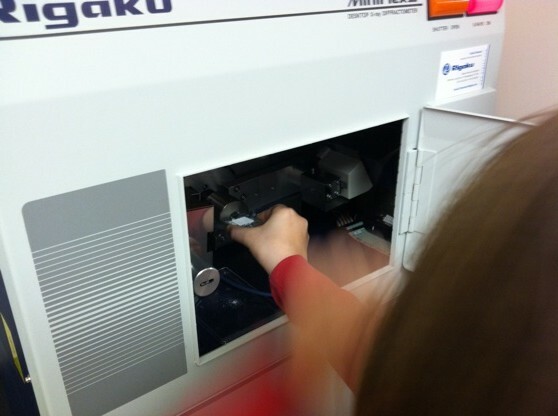 After the sample is secured, an EYH student starts the run. 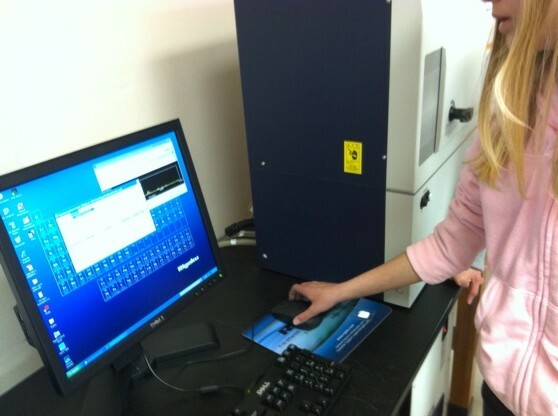 The XRD bombards the sample with X-rays, which diffract at specific angles. 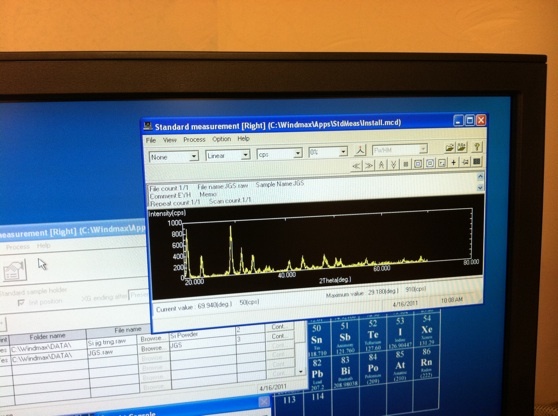 Meanwhile, the detector circles the sample and measures the intensity of X-rays at different angles. Each mineral has its own unique spectrum, sort of like an X-ray fingerprint. 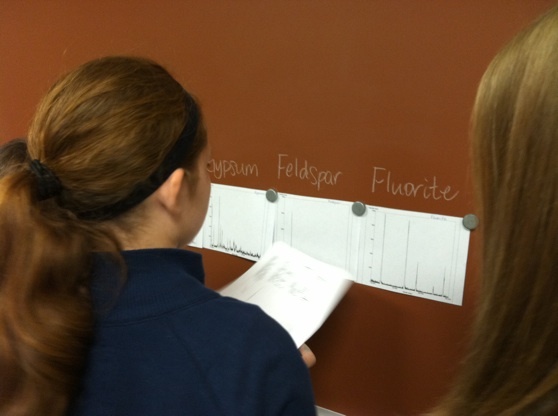 Once the girls have their spectrum, they compare their sample to the spectra of known minerals to determine which minerals are in which products. 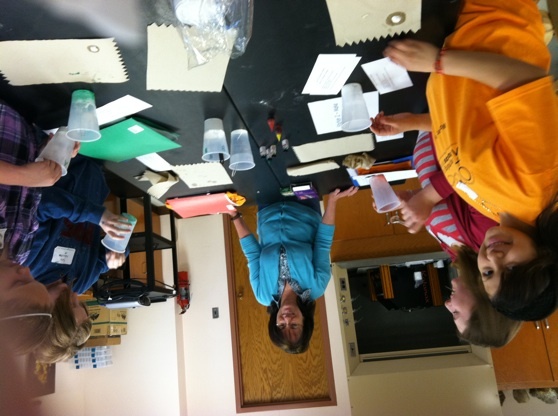 Mrs. Robertson helps the EYH girls make their own mineral toothpaste. Mmmm! 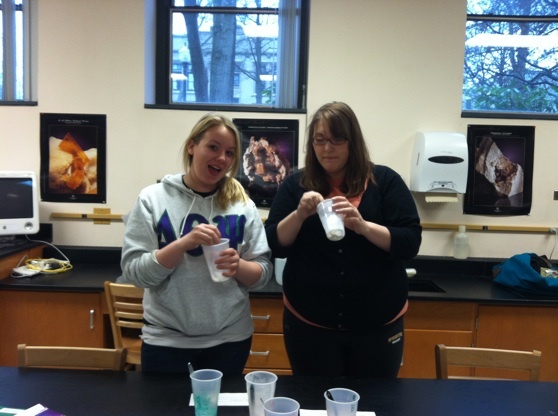 Melissa Torma ('13) and Ana Wallace ('12) volunteered to help the EYH girls and even had a chance to make their own toothpaste. 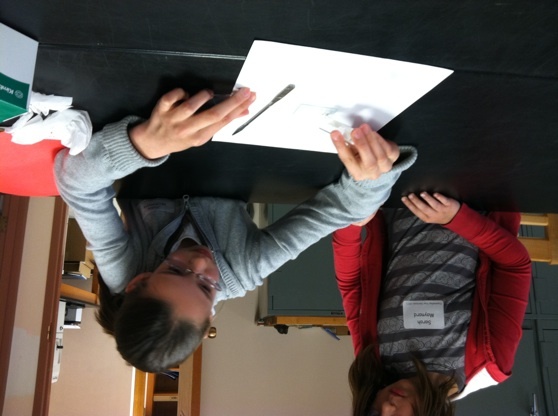 (Stephanie Jarvis '11 helped, too, but had to lead the EYH girls to their next workshop before I could snap her picture). The EYH girls search through our collection of polished stones for a souvenir. Thanks for a wonderful time, girls!